Insurance products, except for a few rare exceptions, pay commissions to licensed advisors and agents. This creates the potential for a conflict of interest between the advisor and the client, since the commission is paid by a third party (the insurance carrier) and not directly by the client. The concern is that an advisor would be beholden to the carrier, and the commissions paid by the third party carrier, potentially compromising a client’s best interests. Below is a summary of my explanation of how I help advisors who have a fiduciary standard or want to operate in a fiduciary manner with the placement of life insurance while fulfilling their fiduciary obligations starting with a common definition of what the duties of a fiduciary are. A fiduciary relationship represents the highest standard of care imposed by either equity or law. A fiduciary owes a duty of loyalty to whomever services are provided. They must not put their personal interests before their clients’ best interests, and they may not profit from their position as a fiduciary without the consent of the person to whom they have pledged their fiduciary duties. Care-to exercise reasonable care, skill and caution. As advisors, we have an affirmative duty to seek out sufficient information and expertise on which to base decisions and make recommendations to clients. Loyalty-to be loyal to the interest of the client at all times. The principle being that if there is ever a conflict of interest between the firm and the interests of the client, the interests of the client are the deciding factor. An advisor and/or the client may legitimately judge that the best way to act in the client’s interest is to retain the potential conflict of interest vs. avoiding it. A potential conflict of interest isn’t in and of itself a good or bad thing so long as there is a way to make sure the client has the proper information and disclosures in order to judge whether the person acting in the capacity of a fiduciary is actually serving the client’s best interest. As it relates to the implementation of life insurance, the fiduciary standard does not preclude receiving commissions for the work an advisor does, but it would require the disclosure of the potential conflict and the commission amounts so that clients would have the abilty to determine on what basis an advisor made recommendations. The choice to forgo being able to market a practice as fee only in exchange for the ability to maintain control over the client experience and get direct access to otherwise nontransparent insurance markets as licensed agents isn’t just a revenue making decision, but a client experience decision. I can help advisors who choose to retain the conflict of interest or avoid it entirely by working with a third party agent life myself to place the coverage and do it in a fiduciary manner with full disclosures of all commissionable amounts and underwriting offers. Informing clients before underwriting, that the typical commission range for life insurance products is typically 50 to 300 basis points of the death benefit. Submitting client medical records to multiple life insurance companies who will make health rating offers that will be shared with the client. Disclose the actual offers, resulting premiums, cash values and actual commissions as a % of the death benefit so that the client is can see that the underwriting offers (not a commission) is the basis for the recommendation as to which life insurance carrier to place a policy with. 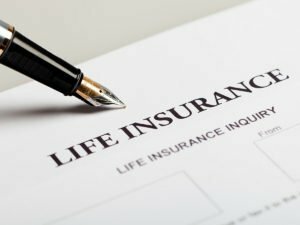 Disclosure of which life insurance carriers can reduce commissions and which cannot and to what extent and providing the standard for how I arrived at the commission on the products that could be reduced to provide absolute clarity, fairness in pricing and transparency. Please call or email me with questions, comments or to discuss a situation. Hope this helps!